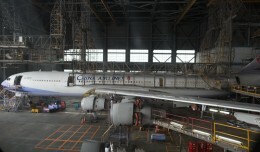 FAA officials are preparing to penalize American Airlines over wiring issues that forced the carrier to temporarily ground its entire fleet of MD-80 jets in 2008. 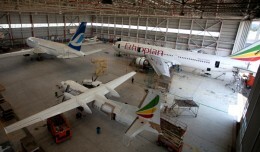 What does it look like inside of Ethiopian Airlines' maintenance hangar? Jeremy Dwyer-Lindgren gives us a well-captioned photo tour. 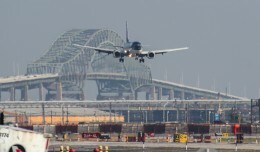 The Federal Aviation Administration announced it would fine American Eagle Airlines for operating flights with inaccurate weight and balance data and for flying a plane for a week with an improperly repaired engine.